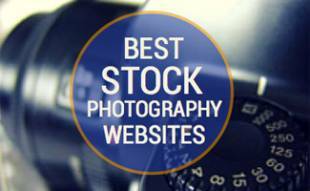 Stock photography has come a long way over the years, and one of the most well-known brands in the space is iStock. One of our top-ranked stock photography services and known for their unique, high-quality images and illustrations, iStock was founded in 2002 and was one of the first to allows any artist or photographer to submit their photos to their database and today them have more than 160,000 global contributors. We got the chance to interview their General Manager, Grant Farhall who peeled back the curtain a little for an inside look into the company. He also shares more about his background and role at iStock. Read on to learn what sets iStock apart from its competitors and some pro tips on how to search more efficiently for stock photos so you can find what you’re looking for faster. My road to iStock had many twists and turns. I started my career at a small design studio in Calgary called iDEA MACHiNE, where I worked closely with creatives day to day. It was there that I first encountered the concept of Stock Photography. We had a series of Royalty-Free image CDs from the likes of Image Club, Eyewire and Photodisc that we would scour to find something could work for whatever concept we were working on. So from day 1, images were a big part of my work. I actually spent time working for Bruce Livingstone’s web development company, just as he and some others were spinning up iStock. So I was around in the early days to see the birth of iStock and see it catch fire. My career then took a complete turn as I decided to get into radio. I spent about six years broadcasting news and sports (you can still hear me call professional lacrosse games as the voice of the Calgary Roughnecks). But I still had a lot of relationships with the great people of iStock, who are now part of Getty Images, and when the right opportunity emerged, I jumped at it. 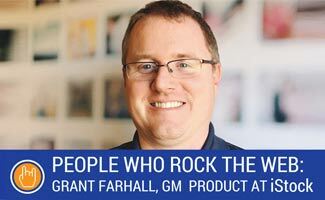 I started as a product manager and from there became Business Director, and worked closely with the GMs of the business, until I took on that role myself a couple of years ago. What does your General Manager role entail? It is all grounded in a love of imagery. For me, our business is pretty straightforward. We need to get our customers to their right image quickly, and then provide them with the right price and plan for them to easily consume that material. That is an oversimplification, but at the very heart, that is what our business is all about. And we must remember, that without the talented contributors we work with – we can’t do any of that. So we also need to make sure that we are doing things that are right for our customers, the business and our contributors. From my view, my job is to drive alignment across those groups, and our various teams in the organization, to ultimately make the process of finding the right image a delight for our customers. 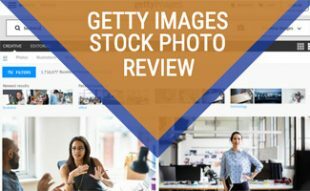 As first in user-generated stock photography, how does iStock acquire its high-quality photos and continue to grow its database? The business has really changed since the early days. Back then, we had a combination of professional, semi-professional and even folks that didn’t know much about photography all seeing the opportunities that iStock could provide. One of the best parts of my job is when I get to meet some of our artists and hear their stories about how they were able to change their lives by becoming stock photographers. The amount of work and passion they have poured into their craft humbles me. So really it is all about them. Certainly, technology has helped too. More and more people can take photos or shoot video – the tools and software have become easier to use. And the quality of content being produced continues to rise. So that’s the challenge now – how do you identify and surface the content that is uniquely better in a world where there are millions of photos being taken every day? It isn’t about having millions of images, it is about having the single right image that a customer is looking for that day. What does iStock look for from its contributors? Primarily we are looking for confidence that the contributor has a core understanding of taking an image that we can license. That means the production, compositional and technical quality have to be there, but we also need to make sure they understand copyright, keywording and the other components that need to be in place. We will work with people to get them on-ramped, so in many ways, you are just looking for potential. With the rise of free stock photo sites, how does iStock set itself apart from the competition? We believe that if you can demonstrate the difference in quality between a free photo and one that is priced affordably that the quality will speak for itself. 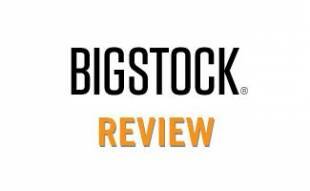 Customers who license their imagery from iStock can do so with confidence that they are getting a great piece of content, that is safe to use with all the necessary releases in place, and is priced affordably. We need to make it easy for customers to find that perfect image, get it, and use it. If we do those things well, our customers will see the value in that. Watch this 90-second video to get a taste of iStock’s video and photo library and see for yourself the wide range of creative they offer. What websites do you frequent to stay current on industry trends? The industry is fast moving, as is everything around it, so I don’t have a small number of sources. Social media is great as it helps to aggregate what everyone is talking about, but it is equally challenging to cut through all the noise. I rely on a few sites that I know do a good job of surfacing the important stuff, but I also try to simply pay attention to what is being talked about around the water cooler. I think with so much out there that you can’t assume that one site, or a small number of sites, is going to expose you to everything you need to pay attention to. It is more about always having your ears open. My five year old keeps me smiling and busy. But when I’m not with her, I enjoy driving the back roads of Alberta, Canada (where iStock is located) and shooting photos of old abandoned farms, barns, homes, churches and schools. I find it fascinating to get a sense of what life was like for the people that were once there. It has also allowed me to work on my own photography craft. While I don’t pretend to have a fraction of the skill our contributors have, it has been an interesting process to go behind the lens and get a better appreciation of the work they do for us. I believe you can really only understand someone by stepping into their shoes. It is the same reason that I spend at least part of my day, every day, on our site, experiencing what our customers experience. Any tips for small businesses searching for the best stock photos? This year we launched image search on iStock. This means that you can now upload a photo and we will show you ones from our library that either exactly matches or closely matches the original. Try using conceptual search terms instead of literal ones. For instance, if you are trying to illustrate something related to business, instead of searching for “business meeting,” think about the emotion or concept you are trying to convey and search for that instead. (Examples: Teamwork, Collaboration, Success, Achievement, Stress, Trust, etc.). Think outside the box a little in terms of how you search. We have a very sophisticated engine running our search, and the more you can tell it, the more effective it will be at uncovering that perfect photo for you. At a high level, we want to make the process of finding and using stock photography not just an easy process, but a delightful one. Thanks Grant for sharing your tips! 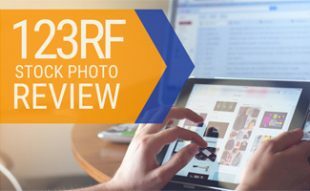 Learn more about their features and pricing in our iStock Review. Those are useful tips for searching for photos, I often find myself struggling to find something very specific but will try these ideas next time!